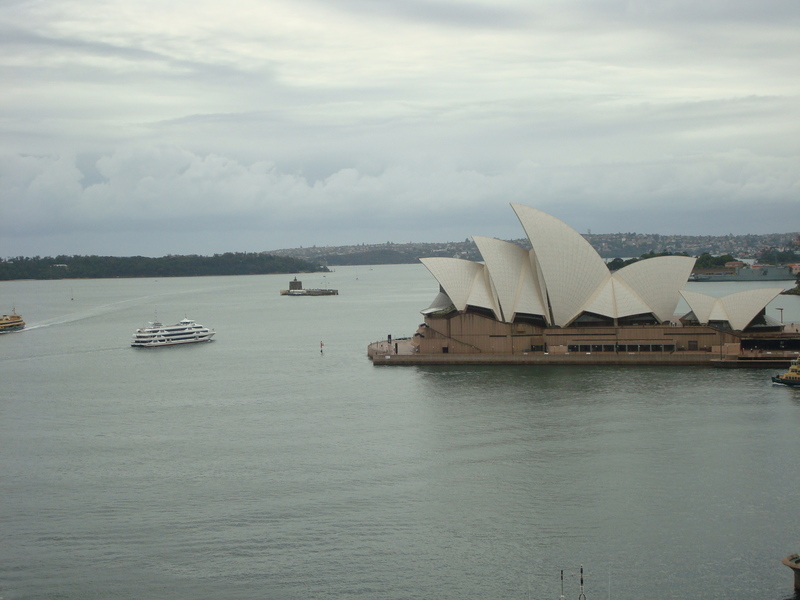 The date of my trip to Sydney is from Feb.11 to 16. Actually it was a 4 day trip, because the first day I was sleeping at the airplane, and the last day I was sitting at the airplane all day long. The trip was fatastic. I really enjoyed the casual lifestyle of Australia. Wishing that I am able to live in the city like Sydney in the future. Here is the schedule of my trip. In fact, I joined the group tour by myself. Concerning about the price is pretty high if I went to Sydney alone, so I took my second option by taking a group tour. Our tourguide is Junior. He's a funny man and very knowledgale about Australia. Besides touring, I did some shopping of course. You can see some of my souvenirs in my photo album. Flight to Sydney Airport took of at 22:00, and it took 9 hours to get to the destination. Well, I try to get some sleep, but couldn't make it. It was a really tired flight. The final day in Sydney and shopping in the airport of course. Flight to Taiwan. Taking off at 12:55 Sydney local time, and landing in Taiwan 9 hours later. Here are two hotel info we lived. The second day in Blue Mountains we lived in York Leura Gardens Resort located in a small town called Leura. The 3rd to the 5th day we lived in Mantra Parramatta Sydney.